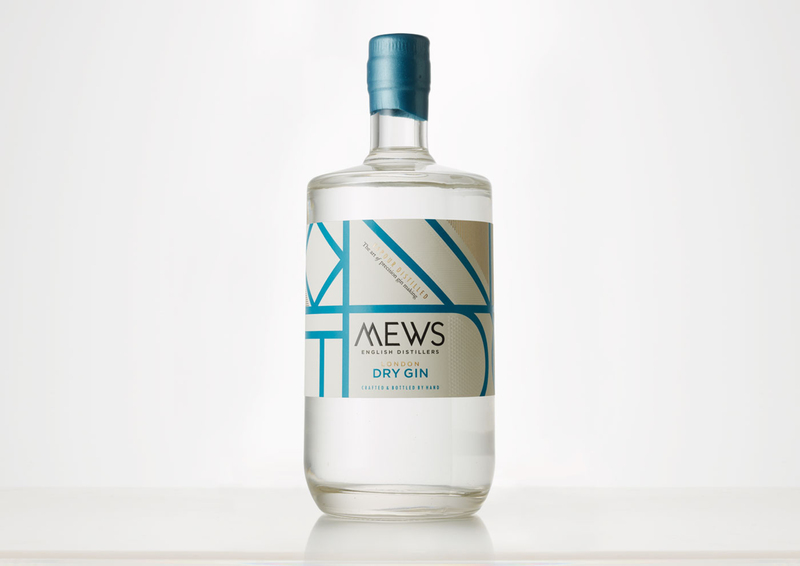 Mews | Mews are artisanal gin producers using an unusual vapour distillation method which produces a lighter more subtle tasting gin. We felt this precision in distilling should be visually alluded to within the fabric of the brand. 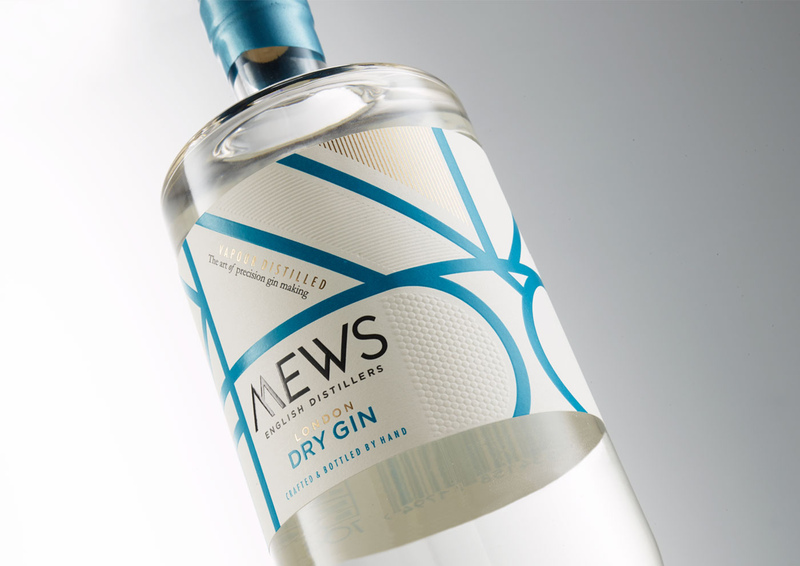 The geometric pattern approach combined with a vivid colour, acute attention to detail in the label finishes and a waxed top seal combined to achieve a crafted yet contemporary gin brand.